Learner drivers will be allowed on the motorway with a qualified instructor in a dual-control car. A change in the law will see L-plates on the UK’s motorways within months, in a move welcomed by road safety groups. Since the UK’s first motorway opened to traffic almost 60 years ago, the nation’s M-roads have been free of cars displaying the dreaded L-plate. But learner drivers will finally be allowed to have lessons on motorways in a matter of months after a change in the road rules. The move follows years of pressure from road safety groups over what they argued was a long-running safety omission. While motorways are the safest type of road to travel on, the bar on learners using them meant they tended to be tackled for the first time by newly qualified drivers, who would often be alone in the car. Post-test motorway courses are available to teach the specific skills needed for driving on them, but government research found that only a very small percentage of new drivers were taking these. From next year, a change to the law will allow learners to drive on motorways, but only with a qualified driving instructor in a dual-control car, said the transport secretary, Chris Grayling. It will apply only to cars, not to motorbikes, and only in England, Wales and Scotland. Younger drivers are up to seven times more likely to be killed or seriously injured compared with drivers over 25, and lack of experience is an important factor Grayling said. Government figures show that only about 3% of new drivers take the Pass Plus course, a six-hour post-pass instruction that includes being shown how best to drive on motorways. Driving instructors often offer motorways lessons for new drivers, but the Department for Transport (DfT) said uptake also seemed very low. At the end of last year the DfT launched a formal consultation on changing the law, asking whether the change should happen and, if so, how it could be best implemented. The response was positive, with the Approved Driving Instructors National Joint Council saying it had been part of a campaign for this change for many years. The Royal Society for the Prevention of Accidents also backed it, subject to safeguards of the sort outlined by Grayling. The RAC welcomed Grayling’s decision to push ahead with the change. While motorways are statistically our safest roads, it can be daunting using them for the first time after passing the driving test, said Pete Williams, from the organisation. 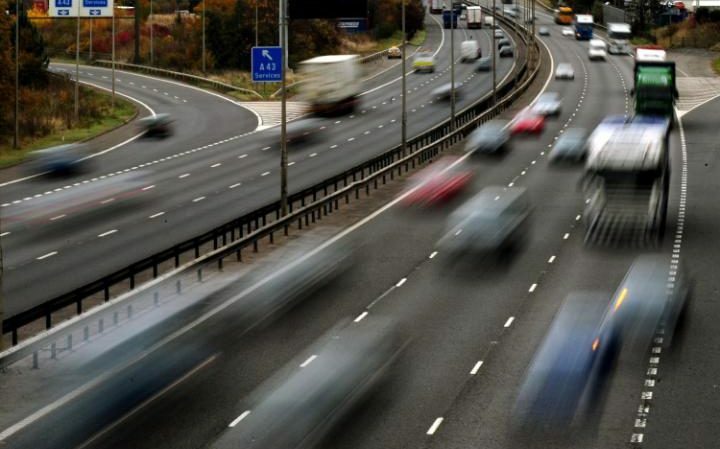 Jasmine Halstead, head of learning and development at the British School of Motoring, said: If learners aren’t allowed to practice on motorways under supervision, then some will avoid motorways, and others will use motorways incorrectly when they have passed their test. Changes to the driving test, designed to reflect the realities of modern motoring, will come into effect this December. New elements of the assessment include using a satellite navigation system, answering safety questions while driving, and a lengthened “independent driving” demonstration. Manoeuvres such as ‘reverse around a corner’ will be replaced with more modern challenges, such as driving into and reversing out of a parking space. There will also be a “reduction in focus” on quiet, low-speed, low-risk roads, such as those currently used for test routes, and an increased emphasis on higher-risk roads – where new drivers are most likely to crash. “These changes announced today will help reduce the number of people killed or injured on our roads, and equip new drivers with the skills they need to use our roads safely,” said Transport Minister Andrew Jones. 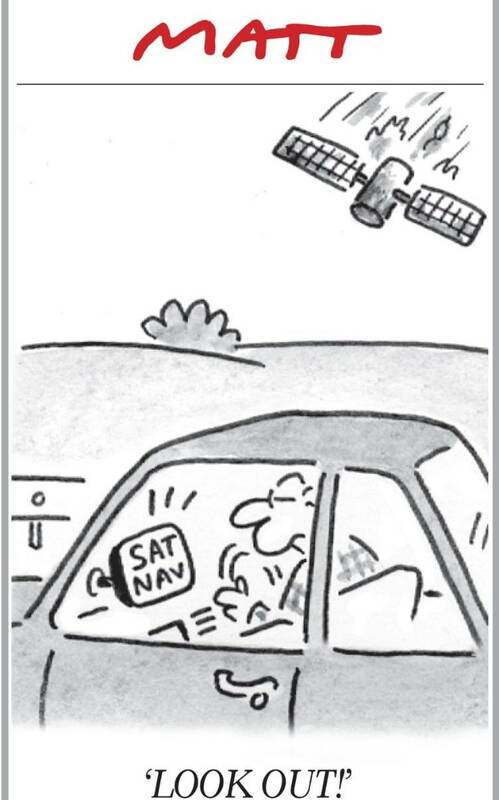 With built-in sat navs becoming commonplace in all parts of the new car market, and with around half of all drivers having one, their inclusion in the driving test is almost overdue. A consultation in 2016 found that 70 per cent of respondents supported this change. Another change designed to tackle “distraction” is the addition of a safety question while the car is in motion. The example given in today’s official announcement is asking the candidate to activate the heated rear windscreen while driving – perhaps not the most demanding of tasks, but certainly a step towards addressing the complexities of real-world driving. Previously, these “show-me-tell-me” questions were asked when the car was parked. The Driver & Vehicle Standards Agency (DVSA) has trialled these changes with more than 860 driving instructors, plus more than 4,300 of their students, with “positive” feedback from the trial. “We are very supportive of the revisions DVSA is making to the practical driving test, which will mean candidates undergo a far more realistic assessment of their readiness to take to the road unsupervised,” said Steve Gooding, Director of the RAC Foundation. The changes come into effect on 4 December, 2017. The pass requirements will remain the same, meaning that you’ll fail the test if you make 16 or more minor faults, or one serious or dangerous one. New drivers who are caught using a phone at the wheel will lose their licence under new legislation that comes into force today. Previously they were able to avoid getting points on their licence by taking part in retraining courses. It follows a tragic incident in which Polish lorry driver Tomasz Kroker killed four members of the same family after failing to stop while scrolling through music on his phone. Twenty-two people were killed and 99 seriously injured in accidents on Britain’s roads in 2015 where a motorist using a mobile was a contributory factor. 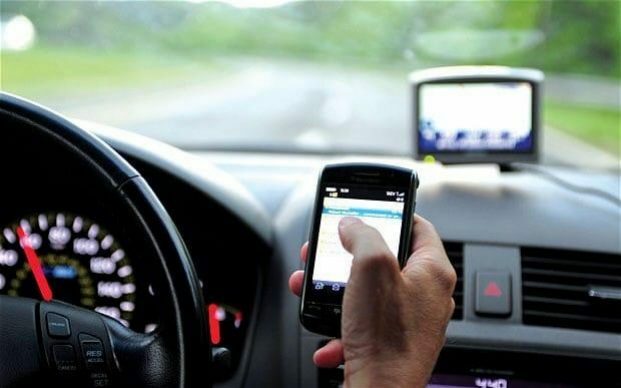 Research by the RAC has found that one in four motorists admits checking texts, emails and social media while driving. 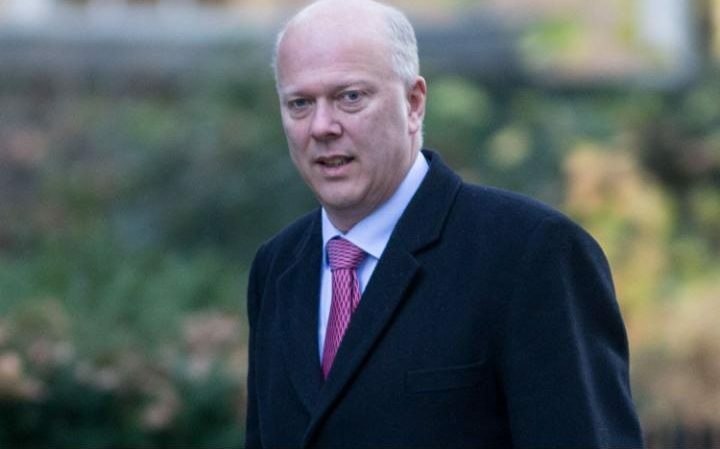 Chris Grayling, the Transport Secretary, said increasing fixed penalties would act as a “strong deterrent”. The intervention follows a warning from the RAC that use of mobile phones behind the wheel is at “epidemic proportions” because people do not believe they will be caught by the Police. According to research the proportion of people who think it is acceptable to take a short phone call while driving has doubled in the last two years. Police forces are carrying out a seven-day crackdown from Wednesday, with extra patrols and an “increased focus” on catching drivers using handheld phones. Edmund King, the AA president, said too many motorists are “addicted” to their phones, with half of young drivers unable to bring themselves to switch them off before starting a journey. Learner drivers will be allowed on to motorways for the first time, if new government plans are approved. Transport minister Andrew Jones says the move would help make roads in Britain safer. The lessons will not be mandatory and driving instructors will decide when their students are ready. The Department for Transport is also looking at trialling a “target number” of hours of lessons to complete before learners take their test. The proposal is one of a number of ideas being considered by ministers as part of a £2m research programme by the DfT into improving safety for new drivers. The government said the change would allow learner drivers to “get a broader driving experience”, practise at higher speeds and put their theoretical knowledge into practice. Mr Jones said: “We have some of the safest roads in the world and we want to make them even safer. “These changes will equip learners with a wider range of experience and greater skill set which will improve safety levels on our roads. For car drivers, the changes would mean that competent learners would be able to have lessons on motorways with an approved driving instructor in a dual controlled vehicle. For those on motorcycles, the Compulsory Basic Training course – which allows them to ride unaccompanied on roads – would also be updated. Motorcycle training would also require more online courses, with novice riders having to take a theory test. The plans have the backing of RAC director Steve Gooding. “The casualty statistics tell us that motorways are our safest roads, but they can feel anything but safe to a newly qualified driver heading down the slip road for the first time to join a fast-moving, often heavy, flow of traffic,” he said. New driver Cesca Astley, who passed her test earlier this year, told BBC Radio 5 live the first time she drove on the motorway was “really daunting”. But Ms Astley does not think these new proposals would have helped. Tim Shallcross, from road safety charity IAM RoadSmart, argues that with a little “tuition” and “supervision” learners will find the confidence to use the roads properly. But Mr Shallcross said he didn’t want to see “cost obstacles” put in the way of learners and that “logged experience” could be used over “mandatory” training hours. 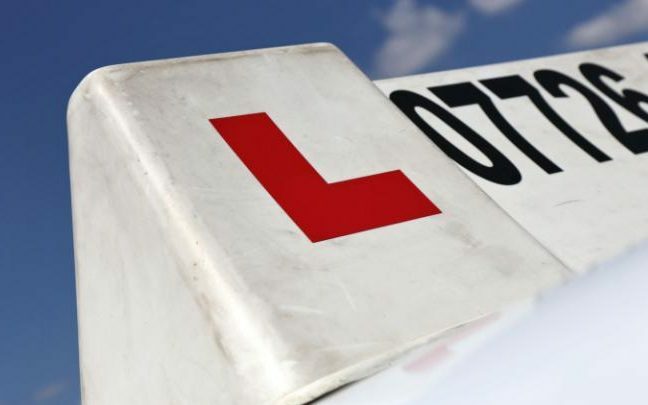 The Times reported on Friday that the government was also considering plans to introduce a mandatory minimum learning period for learner drivers, which could see them being made to spend up to 120 hours behind the wheel before taking their test. A spokesman for the DfT said it was looking into a range of measures to improve safety for new drivers, including a trial of targets for the number of hours spent learning, but there were no current plans to introduce a minimum figure. The department is also still asking for feedback from the public on the current training and testing for driving instructors. The easiest place to pass your practical driving test is Barrow-in-Furness in Cumbria, with areas of London considered the hardest, according to a new report by Privilege Car Insurance. The cover provider analysed Driver and Vehicle Standards Agency (DVSA) data from 2011 to 2015 to reveal that just one in three learners fails in Barrow – much better than the national failure rate of 53 per cent. Other hotspots for drivers successfully ditching the L-plates are Whitby, North Yorks and Llandrindod Wells in Powys. In general, rural areas are much easier locations to pass a test. In contrast, cities are much tougher and London accounts for four out of the top five areas where you’re most likely to fail the test. Wanstead is statistically the trickiest test centre, with the route including four major roundabouts. One of those is the Redbridge roundabout which has multiple lanes and heavy traffic. This can cause particular issue for learners getting in the right lane and make it easy to rack up a number of minors. That’s why just a third of people pass when taking the test from the Wanstead centre. The number one reason for someone to fail a driving test is lack of observation at junctions followed by failure to check mirrors, steering control and turning right at junctions. Neil Beeson, Privilege driving consultant and driving test expert, explained: “The data reveals that it is easier to pass in a rural setting than in a city one and this can be put down to a number of factors including; heavier congestion, higher volume of vehicles, both parked and moving, and an increased number of roundabouts in city areas. 9 Pwllheli (Gwynedd, Wales) 37. A Blackburn woman has recently passed her driving test – at the 31st attempt. Proving the maxim “if at first you don’t succeed then try, try again”, the 63-year-old is among the top-20 people who have failed the practical test the most times since records began. Responding to a Freedom of Information request, the Driver and Vehicle Standards Agency (DVSA) has published details of the most number of times people have failed their practical and theory tests. Fourteenth on the practical test list is the unnamed woman, who took her numerous driving tests at the Blackburn with Darwen centre in Commercial Road. But her persistence finally paid off as the woman was able to rip her “L” plates up within the past year, after being given the thumbs-down on 30 previous occasions. The current cost of a driving practical test is £62, meaning the Blackburn woman will have racked up fees of £1,922 on the examinations alone, without taking into account the cost of any driving lessons. The current method of recording data by the DVSA was introduced in 2004. Top of the list of driving test failures is a 38-year-old man from Garston, Liverpool, who also passed his test this year at the 39th time of trying. Remarkably, the record for the most number of theory test failures is 113, held by a 30-year-old woman from the Ilford area who has still not attained a pass. DVSA chief driving examiner, Lesley Young said: “It’s essential that all drivers demonstrate they have the right skills, knowledge and attitude to drive safely. “The driver testing and training regime tests candidates’ ability to drive safely and responsibly as well as making sure they know the theory behind safe driving. Are you the woman who passed her test at the 31st attempt or do any of our readers know her? UKIP Transport spokesman Jill Seymour has called for an urgent review of staffing levels at Britain’s driving test centres after it emerged that waiting times for tests were continuing to grow. And Mrs Seymour claimed the Driver and Vehicle Standards Agency (DVSA) was making things even worse by pressing ahead with plans to close yet more test centres. She said: “The average waiting time for a driving test has now risen to nearly two months. But that is just the tip of the iceberg – at many centres, the waiting time is as much as 12 to 16 weeks. “In Telford, the nearest base to my constituency office, the earliest date is already towards mid-August. It’s totally unacceptable, and shows that, quite clearly, many driving test centres are no longer sufficiently staffed to cope with the current levels of demand. “Delays such as this are particularly damaging to young people who often rely on a driving licence to secure a job. She added: “I am also hearing of instances where people’s theory examination results have expired as a direct result of the delay in getting a driving test. Mrs Seymour said she believed the average wait for a driving test date should be brought down to little more than a month. “The DVSA claims there is an increase in waiting times for tests, because more people are taking driving lessons now the economy has recovered. “Why is this upturn not being matched by a rise in staff numbers at test centres to keep pace with demand? Whistleblower says driving test centres have targets to meet!! Paul Bennie says examiners are under pressure to adhere to secret quotas for passes and fails!! A DVSA driving test examiner claims he was drummed out of his job because he didn’t fail enough learners. Paul Bennie says there are secret quotas for passes and fails and examiners are under pressure to stick to them. He claimed a computer-generated “average pass” rate means they have to fail almost two thirds of women learners. Paul, 41, said: “I was introduced to the Chi system which generates the average pass percentages. “If anyone went over these, they would be flagged up and instructors would make sure they kept within the targets. “No matter how many learners came in to sit their test, if the computer said you fail 50 per cent, you failed 50 per cent. “In the first few weeks, I was told I was too high on passes. Paul, from Glasgow worked for the Driver and Vehicle Standards Agency for just under a year. He left last month. He said that at the Paisley driving centre, the computer generated pass marks meant only 35-38 per cent of female driving students were expected to pass compared to 43-45 per cent for men. A DVSA spokesman confirmed they use a computer programme to predict pass rates. But they denied using it to set targets for examiners. He said: “Examiners are never given a target pass rate and every test is assessed on its own merits. 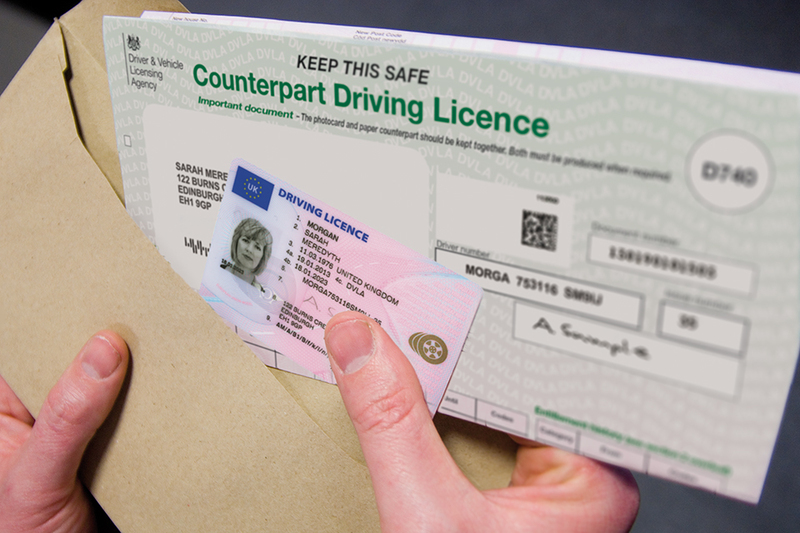 From 8 June 2015, the paper counterpart to the photocard driving licence will not be valid and will no longer be issued by DVLA. The counterpart was introduced to display driving licence details that could not be included on the photocard. These details include some vehicle categories you are entitled to drive and any endorsement/penalty points. View our infographic for information about the driving licence changes. 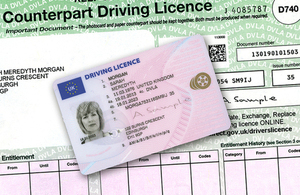 This means that from 8 June 2015 neither the photocard driving licence nor the paper licence will provide an accurate account of any driving endorsements you may have. 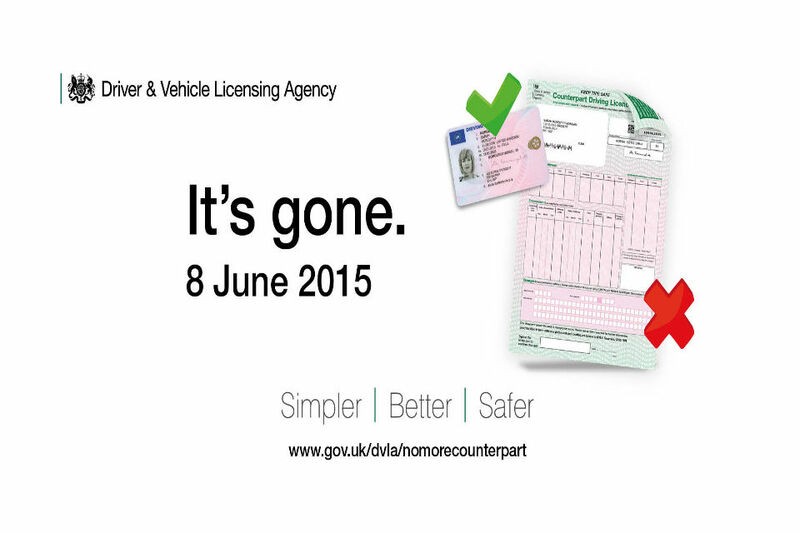 Instead, this information will be held on DVLA’s driver record, and can be viewed online, by phone or post. The courts are unable to respond to queries about the destruction of your paper counterpart. Any concerns about this process should be directed to DVLA. 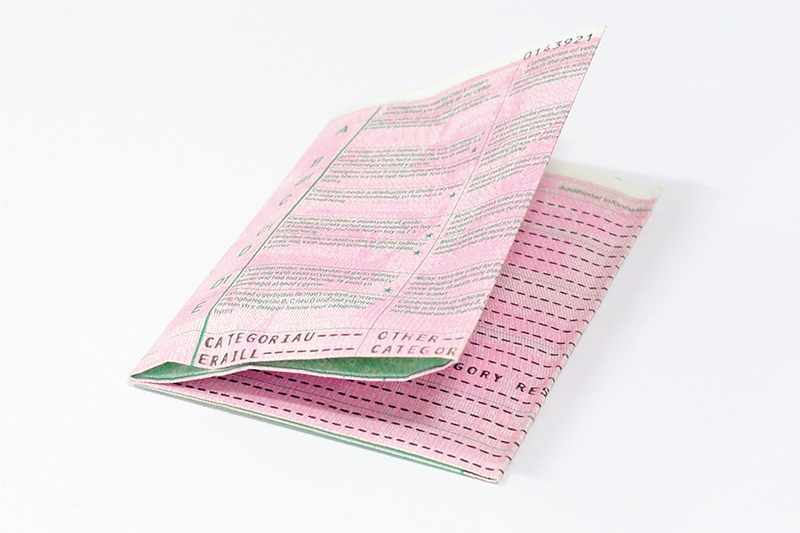 From 8 June 2015, you won’t need to take your paper counterpart with you when you go for your theory or driving test. You must still take your photocard, or your old-style paper licence – your test will be cancelled and you’ll have to pay again if you don’t. If you drive for a living and you’re asked to provide evidence of your driving record (entitlements and/or penalty points), you can do this online for free by accessing our Share Driving Licence service. The service should be used by both paper and photocard driving licence holders. You can generate a ‘check code’ to pass to the person or organisation that needs to view your driving licence details. Alternatively you can call DVLA on 0300 790 6801 and leave permission for your driving record to be checked verbally by a nominated person/organisation. If your organisation regularly checks the counterpart for entitlements or endorsements, you can use the Check driving Licence service to check the licence using the code provided by the driver. With the driver’s consent you can view the details on a driving licence, eg the vehicle categories they’re entitled to drive and any endorsements or penalty points. This service also gives you the option to print or save a copy of the information. To help companies or employers who use the new service we’ve created a step by step guide. You can make a check by phone if you don’t have a check code to use with the online service. You’ll need to ask the driver you’re doing the check on to call DVLA on 0300 790 6801 and leave permission for the check. You can then call DVLA on 0906 139 3837 (calls cost 51p per minute) to check the driver’s details after they’ve given their permission. If you’re a lorry or a bus driver with a licence issued by an EU member state and registered with DVLA, from 8 June you’ll no longer get a counterpart. Instead you’ll get a confirmation of registration document (D91). The D91 form can be used to tell us you’ve moved address by sending it to DVLA, Swansea SA99 1BH.